1. The term “vacation” was invented here. the hustle and bustle of city life. 2. Lake Placid is one of the best places in the country to see autumn leaves turn every shade of gold and red. Nope, the vacations certainly don’t stop when summer ends. When it comes to fall colors, Lake Placid is better than both Vermont and Maine (sorry, New England). Don’t just take our word for it — Travel + Leisure said so. As did Condé Nast Traveler. Why? Nearly two thirds of the surrounding Adirondacks are covered in northern hardwood forest, and it has one of the longest fall foliage seasons in the country. Imagine maple, aspen, birch, oak, and beech trees with leaves in varying shades of gold, orange, and red. Imagine kicking up the leaves under the autumn sun and pretending you’re in a sweater commercial. Prime viewing time is typically mid-October, though check the fall foliage report to best time your stay. One cool way to peep the leaves is on the Fall Foliage train tour on the Adirondack Scenic Railroad. Or take a hike! 3. It’s one of the best towns in the country for Halloween. 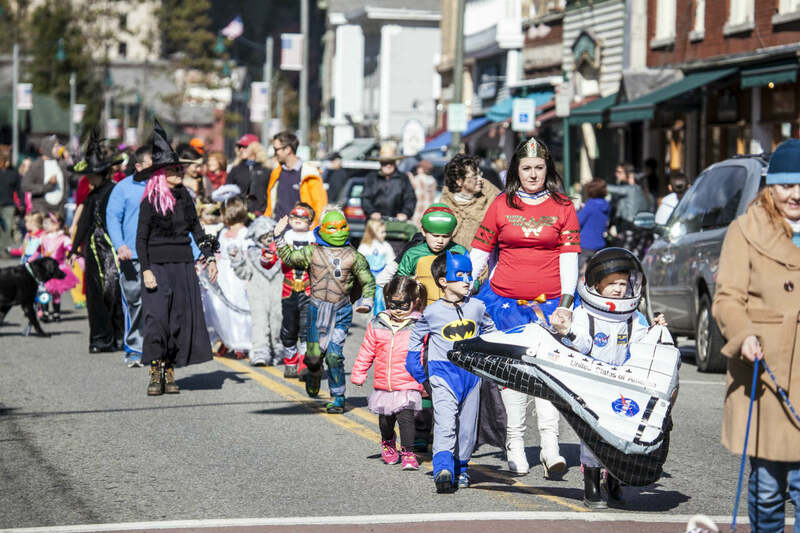 You’ll see pumpkins in the yards and adorably costumed kids trick-or-treating on Main Street come October 31, but this is Lake Placid — it doesn’t do any holiday by halves. In fact, it was voted the best town in America for halloween by Travel + Leisure. Zip line tours over the Adirondacks get a haunted twist; scenic train rides from Lake Placid Station see ghosts, goblins, and witches come aboard for a trip to a haunted Saranac Lake house…even the Lake Placid Centre for the Arts gets in on the action with a macabre showing of the ultimate Gothic tale, Frankenstein, directed by Danny Boyle. 4. The Adirondacks are so big you could fit Glacier, Yosemite, Great Smoky Mountains, Yellowstone, and Grand Canyon national parks inside of it. Spanning 6.1 million acres and covering a fifth of New York state, the Adirondacks are the largest protected natural area in the Lower 48. In fact, it’s not far off from the size of Massachusetts (and a lot less crowded). That’s because more than 2.5 million acres of its mountains, streams, and woods are protected under Forever Wild status, and have been since 1892. That means Lake Placid and its surrounding forests are home to moose, deer, and 100-plus species of birds. The wildness of the Adirondacks is really important, not just because it makes for a nice place to canoe and swim and hike, but because the mighty Hudson flows through it. Maintaining the forest means the water is naturally filtered, and that’s vital for the millions of residents who get their drinking water from the river along its 315-mile route. 5. There are more than 30,000 miles of waterways in the region. Think of a place full of rivers, streams, and ponds. Now multiply the amount of water you’re imagining by ten, and you have the Adirondacks. There really is a lot of water in and around the Lake Placid Region, and there are lots of ways to enjoy it. And all that water might be even more magical when it freezes during winter. Ice climbers ascend frozen waterfalls and the icy cliffs of Cascade Pass; skaters and ice fishermen head out on Lake Placid lake. Regardless of the season, this place is magical. 6. Lake Placid beer comes White House approved. With a local Oktoberfest and an annual Brewfest, the High Peaks Region is big on breweries…and wineries…and distilleries. Heck, there’s even a cidery on the Adirondack Craft Beverage Trail. 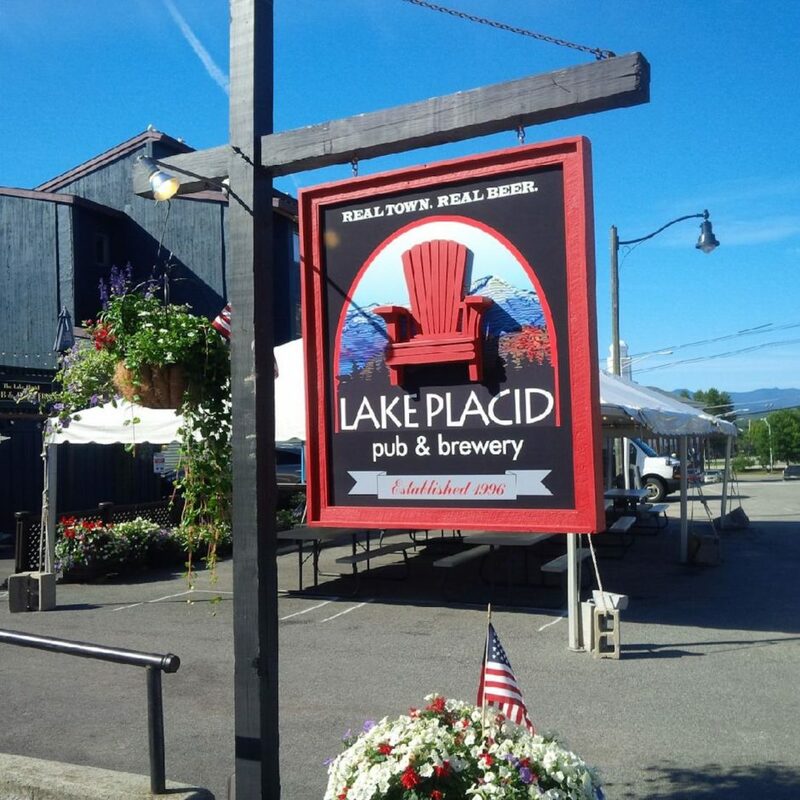 When Lake Placid Pub & Brewery was opened by a 24-year-old history and psychology major in ‘96, locals were quick to rave about the signature English-style Ubu Ale and its roasted malt and dark fruit flavors. Four years later, Hillary Clinton was on a trip in the Adirondacks. A couple of the White House interns accompanying her stopped in at the local pub for a drink, and they liked the Ubu Ale so much they brought some back to President Clinton as a gift. Turns out Bill has good taste in beer; he ordered a bunch of Ubu growlers for a party. Since then, the brewery has continued to expand, and it’s gained nearly 50 national and international brewing awards in the process. 7. 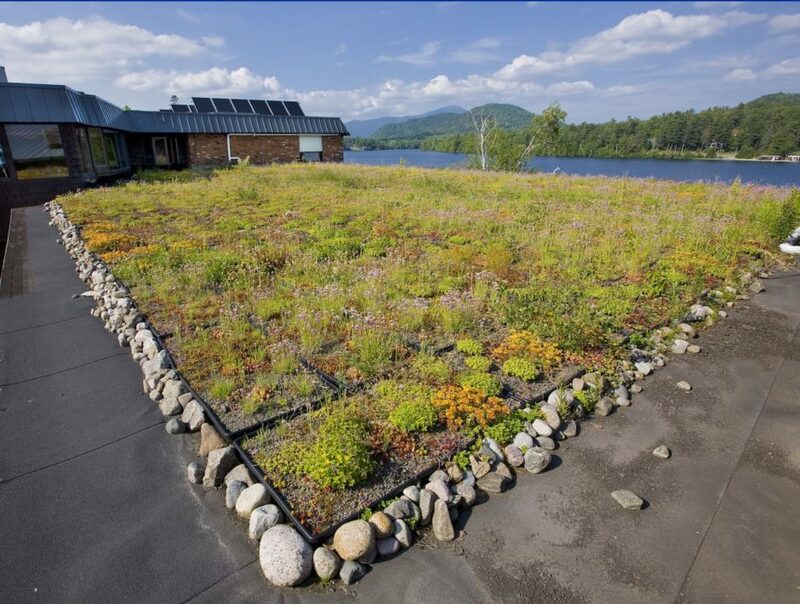 Green roofs are a thing here. Or at least they are at the Golden Arrow, which has received environmental responsibility plaudits from Condé Nast Traveler and is one of just six resorts in the country to get the highest Audubon International eco rating. Take a closer look at the hotel’s Mirror Lake white sand beach — it’s made of eco-friendly crushed limestone that helps keep the lake clean. Next, head to the resort’s Generations Tap & Grill patio and look down. That floor? It’s made of recycled tires. And come summer, the herbs in your fresh honey, fennel, and basil pesto pasta will come straight from the Golden Arrow’s 3,400-square-foot rooftop garden. So look up! You might just see the staff watering the roof. 8. The Adirondack Mountains are growing faster than the Himalayas. Lake Placid is surrounded by amazing mountains, but they don’t form a long chain like the Rockies or Appalachians. Instead, the 100-plus peaks are scattered in a disconnected 160-mile-wide dome. Geologically speaking, these are some of the youngest mountains around, but they’re made of some of oldest rocks on Earth. Those rocks originated in an equatorial sea over a billion years ago. The Adirondacks aren’t done yet, either. They’re thought to have a “hotspot” beneath their peaks, causing a ‘speedy’ annual uplift of 1.5-3cm. The views might not change too much, but each time you come back you’ll be that much higher! 9. There’s a very exclusive club round here (but you’ll need really good hiking legs to become a member). With more than 2,000 miles of marked hiking trails, the Adirondacks are home to the largest trail system in the nation, and many of those trails go up. Psst, Bill Bryson! If you’re looking for a follow-up to “A Walk in the Woods,” how about trying to join the ADK 46ers? Hike the 46 High Peaks — nearly all of which are over 4,000 feet and a short drive from Lake Placid — and you’ll earn your place among its 9,000-plus members. Around 500 hikers do just that every year; a few people even manage all 46 in one season. If becoming an ADK 46er sounds a little hard going, how about joining the Double 46er Wall of Fame? Take a selfie of you eating one of 46 sandwiches named after the High Peaks — while climbing the mountain of the same name — and you’ll earn your place on the wall. Maybe start with one of the easier climbs, like Cascade? It’s just a couple hours to the summit, and at some point on the way up it’s going to be peanut butter jelly (sandwich) time. 10. “America’s First Winter Resort” and the Dewey Decimal System are inextricably linked. Lake Placid’s winter sports history began with Melvil Dewey. The then director of the New York State Library, and the inventor of the Dewey Decimal Classification System, Dewey was a bit of a maverick. Ignoring the sceptics, he imported a bunch of sports equipment from Europe to Lake Placid in the fall of 1904 for the Lake Placid Club — a social and recreation club which he’d founded — so the business could carry on right through the winter season. With his son, Godfrey, Dewey started promoting winter sports in the area, and an iconic American winter resort was born. By 1932 they’d even secured the bid to host the third ever Olympic Winter Games to be held in the US. The region’s been part of the competitive world sports stage ever since. 11. This is one of only three places in the world to host the Winter Olympic Games twice. Once in 1932 — thanks Dewey! — and once again in 1980. Lake Placid is in rare company! 12. It has a twin town in Florida. Melvil Dewey got things done. One day, he decided that one Lake Placid wasn’t enough, and so in 1925 he proposed to the local commissioners of Florida’s Lake Stearns that it change its name to his favorite place. They agreed, and in 1927 America’s second Lake Placid was born. Nearly all the 46 High Peaks are over 4,000 feet, but Mount Marcy tops them all at 5,343 feet above sea level. The hike up isn’t technically challenging, but it will take a full day, so you’ll get major bragging rights for making it to the top (and a roast turkey, cranberry horseradish, cheddar, and apple sandwich for lunch if you want to make it on that Double 46er Wall of Fame). The fifth-tallest peak in the area is also notable; 4,867-foot Whiteface Mountain has a very easy summit. You can head straight to the top in your car, then take an elevator to the open, rocky summit. 14. …as is the state’s highest lake. And its name is a Zen dream. Can you imagine being a 19th-century surveyor of America and discovering the following scene? 4,293 feet lies summit water, a minute, unpretending, tear of the clouds — as it were — a lovely pool shivering in the breezes of the mountains and sending its limpid surplus through Feldspar Brook to the Opalescent River, the well-spring of the Hudson. That’s exactly what Verplanck Colvin found in 1872 while surveying the Adirondacks. Technically an alpine tarn, Lake Tear of the Clouds lies in a pass separating Mount Skylight and Mount Marcy, and it’s the highest water source to feed the Hudson. 15. The story of Lake Placid includes abolitionist roots. This part of the Adirondacks was settled as an iron ore mining operation in the early 19th century. In 1845, social reformer Gerrit Smith arrived at what was a hamlet of six families. He bought lots of land around the village, reformed the local land laws, and gave large tracts of his property to former slaves. Anti-slavery icon John Brown heard what Smith was doing, and in 1848 he brought his family north from Kansas to buy 244 acres for $244. When Brown was executed in 1859 following the Harpers Ferry Raid, his wife buried him at their Lake Placid home. Today you can pay a visit to the John Brown Farm State Historic Site, now a National Historic Landmark, in nearby North Elba. What other unexpected facts will you discover on a trip here?